Got a link from Francois Godillion on an article in CarNewsChina.com. The old generation Saab 9-5 is now made by The Beijing Auto corporation as the Senova B70 car. At a Beijing Auto dealer this D70 was found with a SAAB exterior kit. A kit that can be bought on the internet for 86 USD making the Senova to a SAAB 9-5 AERO. It is in all ways legal for a owner to do with his/her car but if a dealer is selling cars like this I guess it is another ballgame. But this is not the first story of copied stuff in China. Some years ago Volvo Trucks found a company making Volvo-Like trucks in China. Nice to see that the SAAB name finally reappears in GOLD last time that happened was in the grille of the 99 models in late seventies. Gold is a color that is very appreciated in china so why not get a Senova in red with gold accents that would be the most successful SAAB ever. That is if You believe in china traditions. The really illegal stuff is found in some printed material from BAIC as photographed in a Senova dealership . Wonder if Nicolas Cage knows he is an ad campaign or is it a chinese look-alike gentleman? On the posters can be seen a 9-5 NG steering wheel, interior from the SAAB museum, a NON-SAAB jetfighter (guess they did not dare having a Gripen or Viggen in the poster) and the old SAAB-Performance Team. Well, not exactly, but in the new BAIC D Series commercial, Nicholas Cage drives on two wheels as the car’s official spokesperson. Clearly he had some help from the Saab Performance Team. 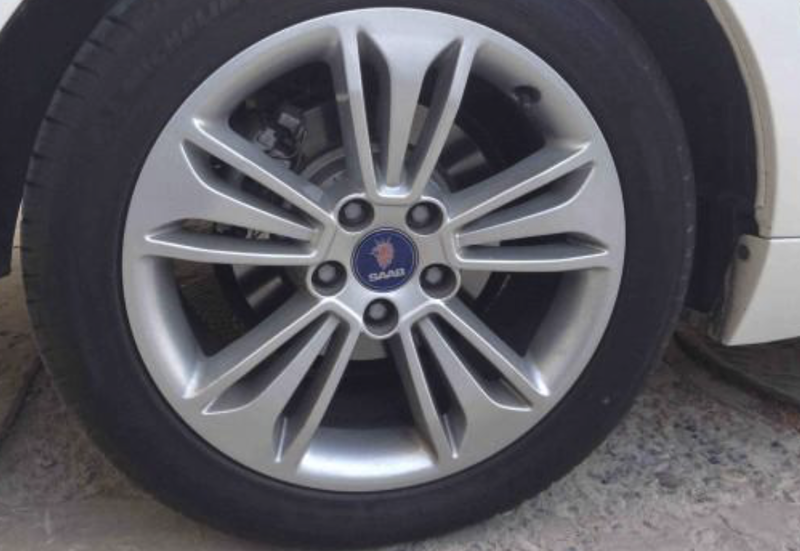 It’s amazing to me how a great looking Saab can be transformed into something so bland and tired looking. I’m sure an authentic Saab will have a much better reception on the Chinese market, and I’m pretty sure it won’t need washed up American actors to endorse it (though I’d take a relevant celebrity if they’re interested). Carnewschina.com show some pics of the BAIC B70G, which is based on the old Saab 9-5. I am pretty happy that Pininfarina gave this car totally different looks than the Dame Edna but I have to admit the design (and even the name) reminds me a bit of another Swedish car company. Surely just a coincedence. Both recommended reads and both show just how complicated getting past the NDRC is going to be for Saab in China. The first is an analysis from Reuters, and while it cites many skeptical sources, it ends by landing on the hope that BAIC might be the company given the NDRC’s official blessing. The second comes from Caixin Online (and brought to us through CBS MarketWatch) which spells out a little more clearly and backs up SvD’s claims that Youngman might be the chosen one. I’m not going to comment much on them but to say that Saab clearly has a lot of work to do to get their Chinese joint operation with Pang Da up and running, and I’m confident that the executive teams of both Spyker and Pang Da know what they need to do to get there. On the day of the Annual Shareholder’s meeting in Holland, there’s reason for cautious optimism of production starting back up in about a week. But first Victor Muller faces a firing squad from Dutch investors association VEB. Meanwhile, BAIC’s VP Mr. Dong, claims he’s not too worried about Saab’s plans to compete with a new MJV, but just comes off sounding like a jealous ex. Before things get too heavy in here, a fun little game for everyone. Guess what we have in the photo? It’s amazing what a few body panels can do to a car. If you want the answer, click past the break to find out. The Shanghai Auto Show is starting next week, with the media days on the 19th and 20th April. Ahead of the show Beijing Automotive Industry Holding Co, known as BAIC, are showing off what they have on offer, and there is a lot to be interested in for Saab fans. I’ll take a look at all the offerings after the jump. 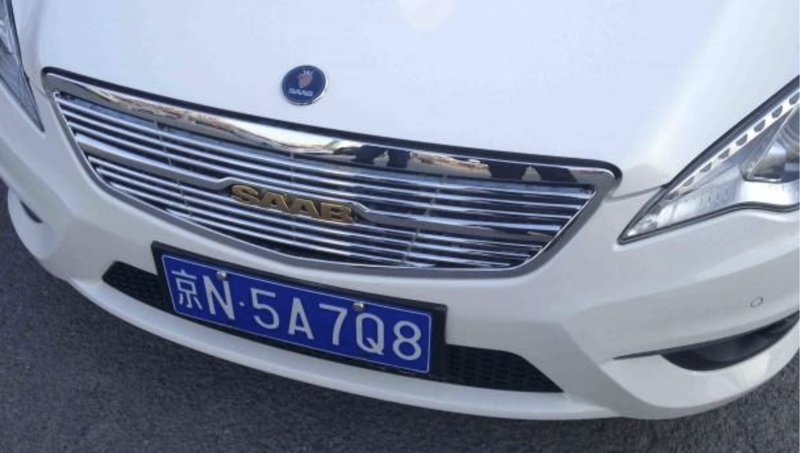 After purchasing the technology for the old Saab 9-5 and pre-2006 Saab 9-3, Beijing Automotive Industry Holding Co (BAIC) have further move towards manufacturing the Saab 9-3 and 9-5 as Beijing Auto branded cars in the Chinese market. BAIC have purchase WEIGL Transmission Plant AB, the company that manufacture gearboxes for Saab and GM. Early reports say that the deal, worth 31 million Euro, has included the factory, production equipment and IPR for the F25 and F35 gearboxes that are found in the Saab 9-3 and 9-5.